My son’s perspective on what it was like growing up in a lifestyle entrepreneur family. My son’s most and least favorite things about being in a lifestyle entrepreneur family. The new project that gives you a peek behind the scenes of a lifestyle entrepreneur family. It’s the unknowns of being an entrepreneur that can often-times be the most intimidating part. 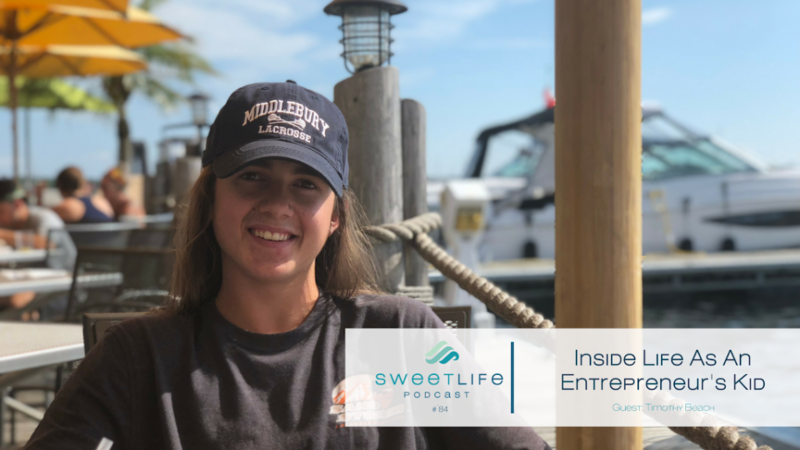 For parents considering starting their own business, it’s even more intimidating because you have to think about how being an entrepreneur will impact your kids as well. If you’ve ever worried about this, make sure you take a listen to this special episode with a very special guest who should be able to ease your mind. My oldest son, Timothy Beach, is on the show to give us his take on what it’s like being in a lifestyle entrepreneur family.